Our profiled companies from yesterday all took wild rides as winners and losers. KENMORE, WASHINGTON, UNITED STATES, December 21, 2018 /EINPresswire.com/ — After great speculation and huge swings in stock prices in anticipation of Trump signing the Farm Bill our profiled companies from yesterday all took wild rides as winners and losers respectfully. 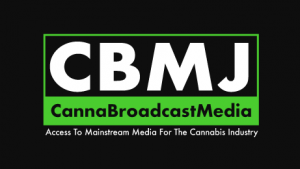 CBMJ is also current on all of its filings. Also a strong winner coming in second after a few wild swings with a 20.20% increase was (OTCPK: PURA) Puration Inc. who announced yesterday that its 2018 Sales Exceeded its $1 Million Goal With 2019 Goal Set At $5 Million. 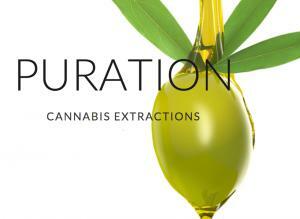 Puration has revenues, is current on all of its filings, and is set to benefit from the FARM Bill. Baristas Coffee Company (OTCPK: BCCI)came in third in the winning column from our profiled companies set to gain from the FARM Bill closing up 4.71% at 0.0089. Baristas just announced a partnership with Flower Power to launch a CBD Coffee under an offshoot of the Baristas brand called “Baristas EnrichaRoast CBD” of which is expected to be available by years end. It should be noted that Baristas is not really a cannabis company but is the first major coffee company to confirm that it will be offering a CBD Coffee. BCCI is also current on all of its filings. There should be no surprise that the biggest loser of all was (OTCPK:KALY) Kali-Extracts Inc. an extraction company whose stocks fell sharply after the announcement closing a staggering -32.35% falling to .0184. 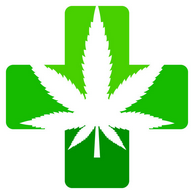 Cannabis Stocks News warned yesterday that OTC MARKETS had given the worst of all designations to (OTCPK: KALY) a Caveate Emptor Skull and Cross bones. This indicates proven criminal activity and sanctions either enforced or likely. KALY is seriously delinquent in their filings, and suffering from actionable malfeasance to the point of being given the usually fatal Skull and Crossbones designation by www.otcmarkets.com Their past appeared to catch up to them after a rally that was short lived and a massive selloff that is likely to continue provided they are not halted from trading. On the other extreme, companies like (OTCPK: URA), (OTCPK: CBMJ), and (OTCPK: BCCI) have all achieved OTCMARKETS highest tier certifying full compliance and the highest level of current disclosure.